Oats are a great alternative to using nuts. 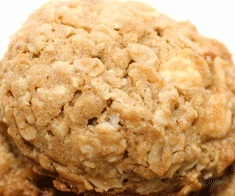 This oatmeal cookie recipe is one of my favorite. For some reason, oatmeal seems to go hand in hand with cookies.